Dear Reader, We are professional manufacturers of high quality Hands Embroidered Milita..
Dear Reader, We are professional manufacturers of high quality Military Uniforms. ..
Dear Reader, We are professional manufacturers of high quality Military Uniforms. 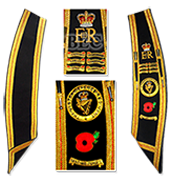 &n..
Dear Reader, We are professional manufacturers of high quality Hands Embroidered Mi..